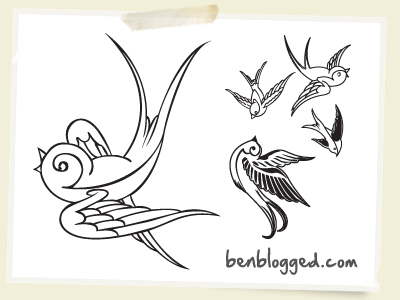 I hope you all enjoy these free vector sparrow graphics.Â Mission for 09: more freebies and more tutorialsâ€¦ It has Ben Blogged. yay! these are so cute! thanks a bunch! these are fantastic thank you ben! Fantastic! These are great! Thanks for posting! Thanks a lot for this free vectors.